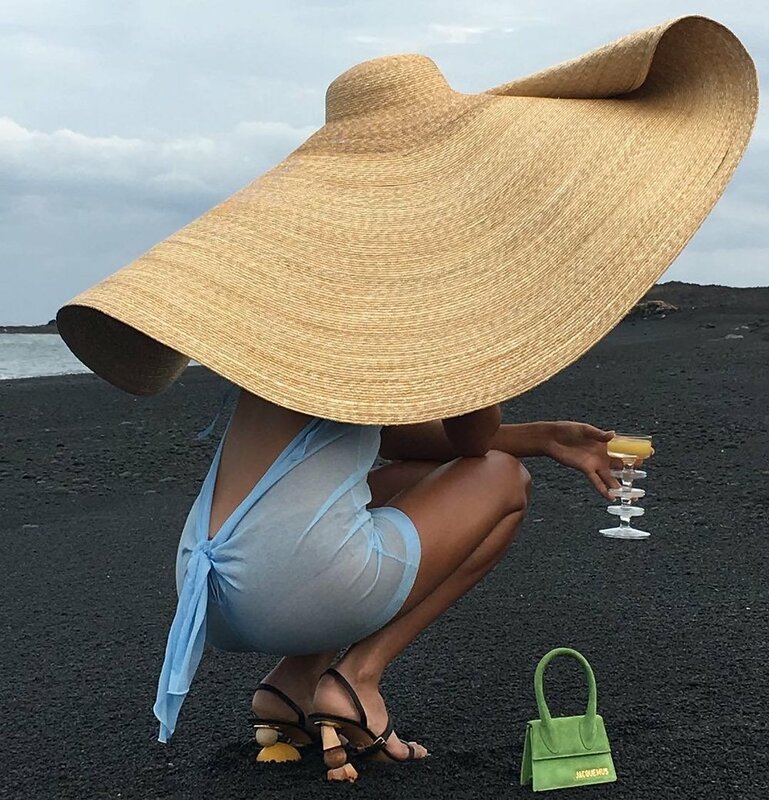 You're in the south of France — sun shining, sipping chilled champaign with raffia bags strewn about, adorning the perfect silk head wrap. But, you're not bikini-clad, you're wearing Jacquemus’ Spring/Summer 2018 — the epitome of effortless French girl style. getaway to complement your matching beachside look. To start, let’s talk about this gem from the collection. I mean who wouldn’t want this expertly draped oversized shirtdress to throw over their bikini? The thick black head wrap only adds to the allure, not to mention is perfect for keeping wet beach locks in check. “I don’t think I ever saw my mother more beautiful than on evenings after the beach and probably when she was in love,” read his show notes. sheer tank tops, a plunging, slinky neckline with tailored black capris. The collection was entitled La Bomba, with “La Bombe” being a nickname for the designer’s mother. The bombshell element was apparent from the massively unmissable hats to the favoring of fringe, strappy sandals and singular oversized earrings paired with smaller, more colorful ones on the other ear. We're ready to hit the cote d'azur in one of these slinky numbers, and if you are too, shop it here.